Freedom isn’t free. 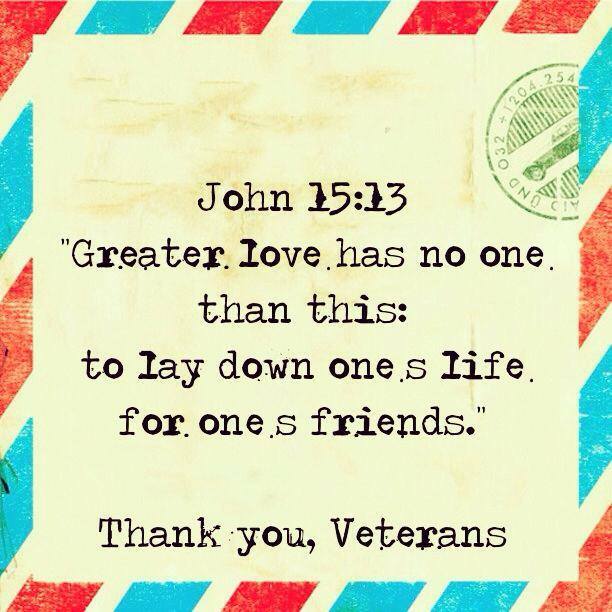 Thank you to all the brave men and women past and present. May we live in such a way that it honors your great service and sacrifice. A special Veteran’s Day thank you to my dad, a career Navy man who did two tours of Vietnam. What a great privilege it is to wake up everyday and praise the Lord without fear of persecution. My freedom is such a precious gift and I thank you and honor you, everyday! God Bless you and God Bless the USA.